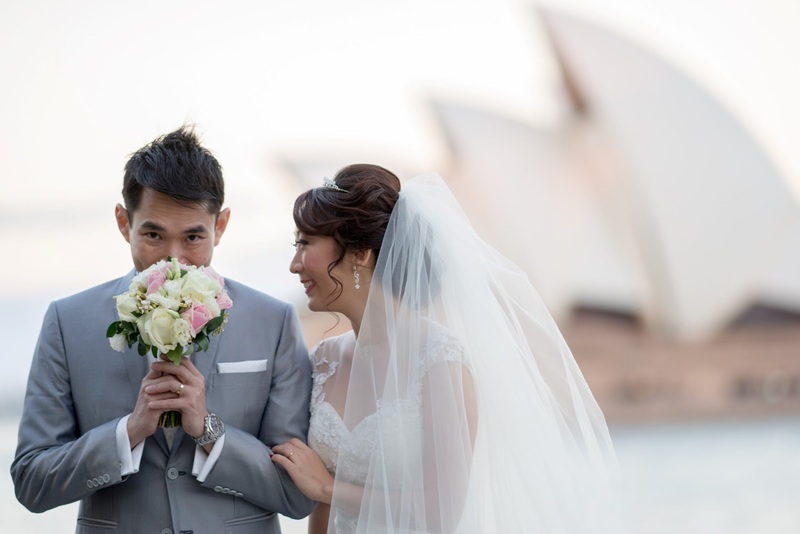 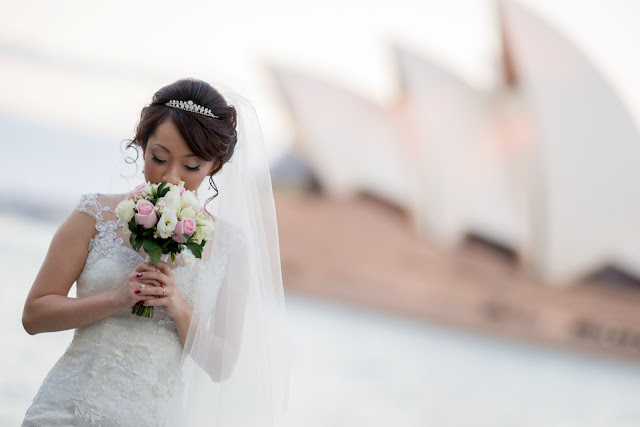 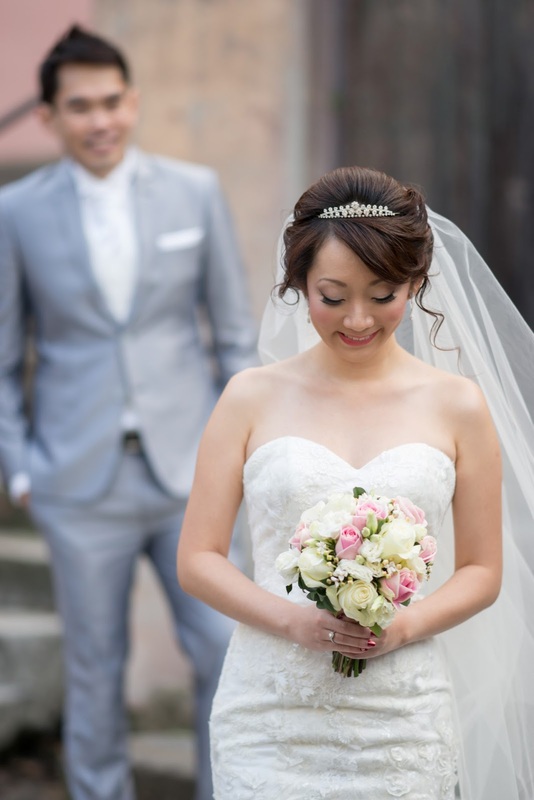 Joseph and Jeann's Sydney harbourside wedding featured a darling bridal bouquet of 'rosita' pink roses, white 'proud' roses and a dash of white bouvardia, the whimsical star clustered white flower mixed between the roses. Jeann ensured her wedding flowers complemented the intricate lace detail of her gown. 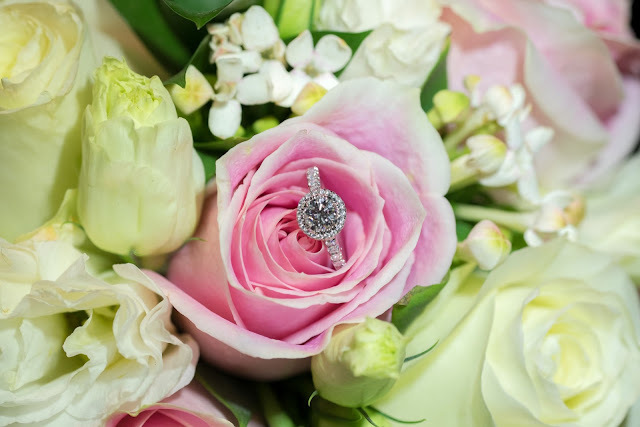 The size of the bouquet is perfect for her petite frame, and that delicate balance is always important for brides to keep in mind. 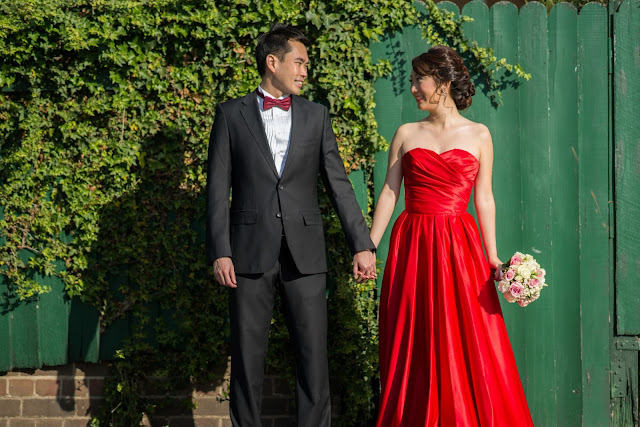 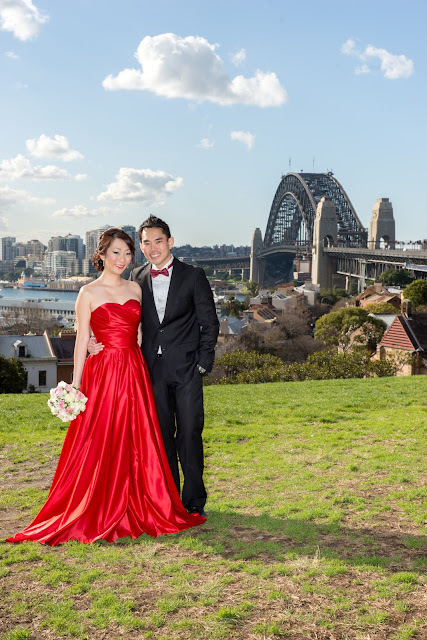 Jeann also featured her bouquet in a special pre-wedding shoot at Sydney Harbour where she wore ruby red, and Joseph a darker style suit. They are such a sweet couple, and we are glad we got to play a small role in their special day. 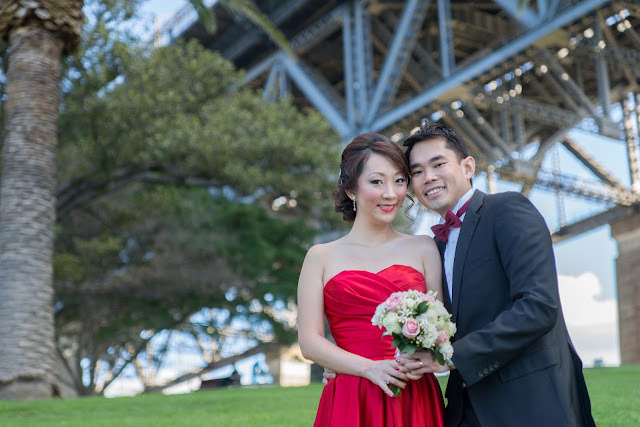 Thank you for sharing your wedding photos with us, we love this one of you both under the Sydney Harbour Bridge.